Give us a call to schedule a visit! 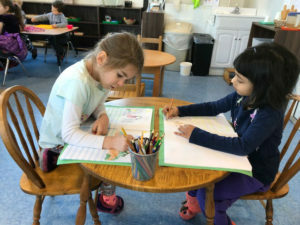 Norwood Montessori School offers a quality Montessori education to children ages 2 to 18 years old. The first 8 years are the most important years in a child’s life. Emotionally, physically and cognitively speaking, this is when their development of personality and individuality takes place. Norwood Montessori covers these areas and gives peace of mind to you as a parent, knowing that your child is being taken care of in a loving, educational environment. Norwood Montessori offers educational opportunities for children with an integrated curriculum. These areas include Sensorial, Language, Math, Science, Cultural, Art, French, Practical Life, and Music among others. Multi-age classrooms provide children with a carefully prepared learning environment and a wide range of quality materials. Our goal is for each child to acquire a love of learning that will stay with them throughout their whole life. With this system of different ages in the same classroom, we accomplish important goals such as enhancing social skills, since children learn from each other. Individual needs are fulfilled and each child’s potential is maximized. Self-discipline is formed from the consistency of the classroom, Montessori philosophy and Peace curriculum. Our students grow to be loving, caring, responsible, respectful children, who care about their surroundings and environment. You will see as a result of being part of our school, your child’s social skills will improve as well as their ability to act independently in a very confident manner. In a Montessori classroom, your child will find things that interest them which, encourages them to explore and eventually master. 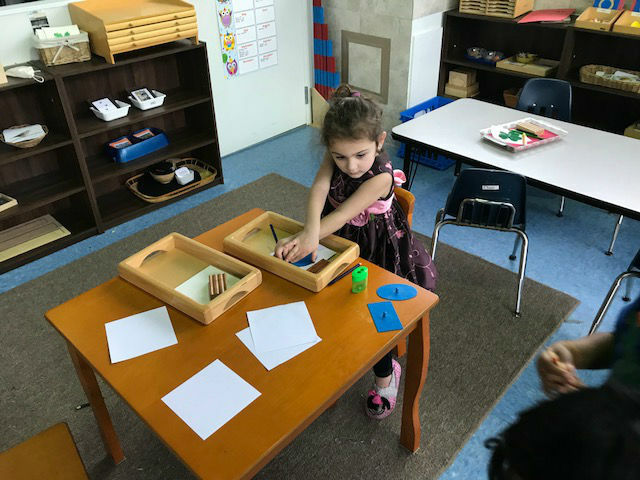 Because of Maria Montessori and her observations of the developing child, we are able to set up the environment that fulfills their interests and awakens their hidden skills. They try, practice, make mistakes and learn from every experience. The classroom environment is prepared by the teacher and then explored by the child. The teacher follows the child and learns each individual’s needs and cycle of work. Then the classroom environment can be changed to each one’s specific needs and interests. 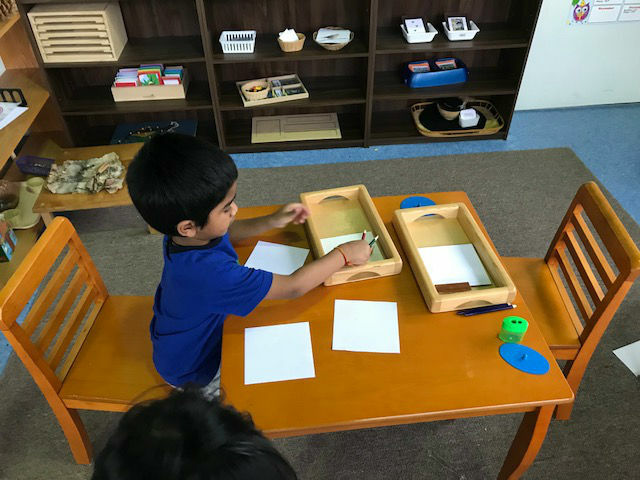 This is what we present to you, a school that offers a sense of well-being to your child through personal experiences based on the Montessori Method. Please click the button for an application or check out our Forms page to get application for the school or any other forms that you might need! We look forward to hearing from you soon. "Our care of the child should be governed, not by the desire to make him learn things, but by the endeavor always to keep burning within him that light which is called intelligence"